A perennial favourite from two outstanding vintages. Both are excellent but in different ways. 2015 on paper was a hotter vintage yielding a brawnier style while 2016 had more temperate weather resulting in leaner, more elegant wines. 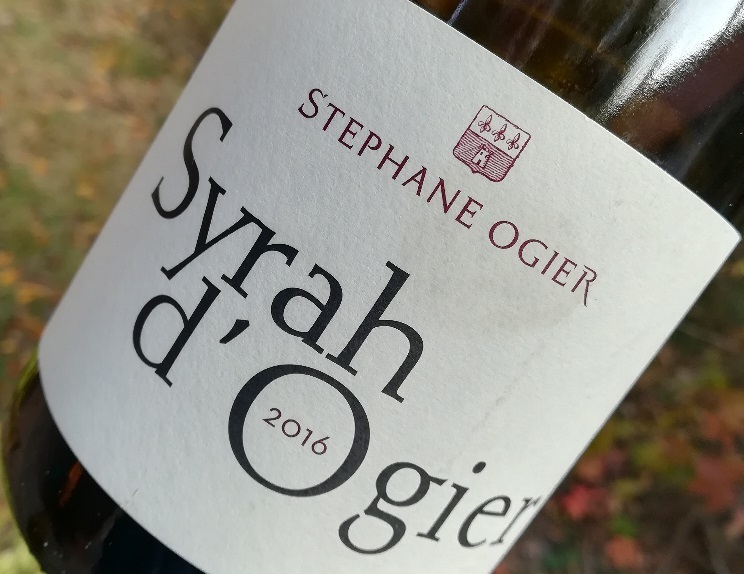 With my Syrah d’Ogier bottles the differences were quite marked but I suspect this had more to do with reduction and bottle age than weather patterns. The 2015 was rather funky on day 1. However 24 hours later it took off and never looked back. Based on the evidence of this wine 2015 is set apart from hot vintages like 2003 or 2007 in that it not only has ripe fruit but also the right levels of acidity making it attractive and elegant at the same time. This is a highly satisfying wine with beautiful syrah character. Blueberries, blackberries, violets, blood oranges and black pepper on the nose lead to a gently caressing, spacious and lively palate. Layered, succulent, exciting – what more could one reasonably ask for at this price level? The 2016 needed no decanting or time delay. It is a much tighter package and actually seems weightier and denser than the 2015. The nose displays cured ham, graphite and violets and not much fruit. It’s more focused and shows more precision than the 2015 but lacks the latter’s lovely, gentle, open texture. If you have the time and patience to deal with the 2015’s funkyness then go for that one because it has real magic. If you want to play it safe go for the 2016 but I would recommend to give it another year or two before touching it. Now, one final issue. You may argue that there is no better syrah at this price point available in Hungary but I couldn’t help noticing that just a year ago the 2014 cost 2500 Ft.